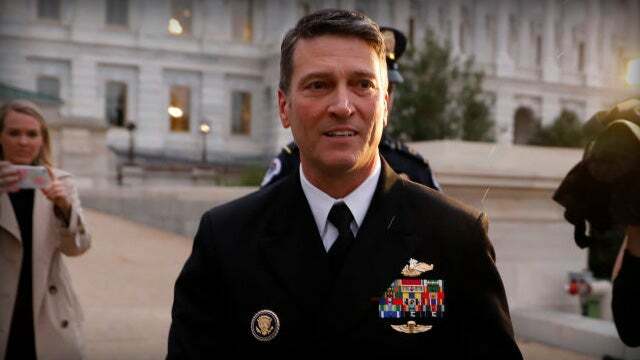 RUSH: Ronny Jackson, the guy up for VA? They ran him out of town. He’s been there for all those years and not one complaint about the guy. He was Obama’s personal doctor. He was Michelle’s personal doctor in the White House. He doctored both of them. No mention of the guy being a drunkard. No mention of him passing out Schedule C, Schedule 3 prescription medication to anybody who wanted it. No mention of ramming cars while drunk. No mention of any of that until Trump wants to appoint him to VA. After years and years and years of being the personal White House doctor to Michelle (My Belle) and Barack Hussein O, do you realize neither of those people surfaced to say one supportive thing of their doctor when this all happened? Not one thing. Not one!